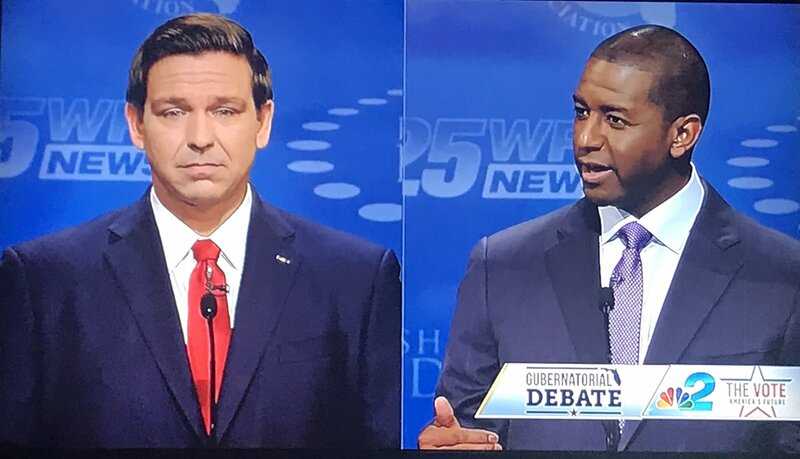 FDP Chair Terrie Rizzo: "Tonight's debate showed that Andrew Gillum has what it takes to lead"
"Floridians saw two things tonight: a hopeful vision for our future versus a collection of lies and attacks masquerading as a campaign for governor. Andrew Gillum proved beyond all doubt that he is the only candidate who has the vision and the plan to create a Florida that works for all. "Andrew Gillum was the only one on that stage who will protect people with pre-existing conditions. And he's the only candidate who Floridians can trust to fight for better jobs, better schools, and safer communities. In contrast, time and time again, Ron DeSantis disrespected Florida voters by bringing cheap attacks and talking points instead of substance. "Ron DeSantis has run one of the most hateful, divisive campaigns in our history, from associating with members of hate groups to running false ads during a hurricane. DeSantis doesn't have the temperament, the integrity, or the vision to lead Florida. Tonight's debate showed that Andrew Gillum has what it takes to lead and is the best choice for our next Governor."